Web Development is the best option that you can learn easily and pursue a career in Dubai. Enroll with MCTC Dubai and be a certified web developer from our professional experts to enhance your career! We will make your dream true to become an expert in web development to earn more. 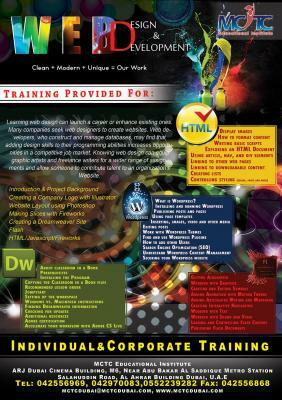 We will help you to learn web development from the scratch to advanced level quickly through practical sessions. You have the complete freedom to choose the platform in which you want to develop websites and customize the topics. We provide mobile app development training for both android & IOS too.